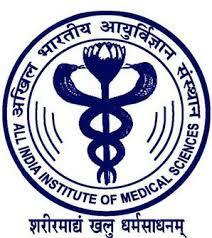 JRF Life Science recruitment in All India Institute of Medical Sciences (AIIMS),New Delhi. Title of the Project :Junior Research Decipher mechanistic basis of the intracellular Fellow (01) trafficking of the optically active Nanoparticles using super resolution microscopy. Title of the Project :Magnetic Nanoparticles and Quantum Dots Fellow (01) Coupled Visual Confirmation of Cervical Cancer Cells from Cytology Sample: A Cost Effective, uick and Suitable Test for Rural Indian Setup. Qualification :Candidate should have M.Sc/M. Tech in Life Science/ Biotechnology/ Physical Science/ Chemical Science/ Nanotechnology with 60% of marks or equivalent to CGPA grade. Calls are open till the position is filled. Candidate may submit their application along with detailed CV and research experience to Dr. Subhash Chandra Yadav, Room No. UG-12 Basement (-1),Convergence Block, Electron Microscopy Facility, Department of Anatomy, AIIMS. New Delhi-110029 and/or email to subhashmbu@aiims.cov.in. Date and time of interview:Shortlisted candidate will be call for Interview through email.